Whether you’re a workaholic who’s in need of some relaxation or a mother of two who just wants some TLC, you can get all that and more at Soul2Sole! Led by an experienced team of professional massage therapists, trainers, and specialists, Soul2Sole provides specialized care so your body gets the attention it deserves. Offering a number of massage techniques including sports massages, deep tissue massages, prenatal massages, and more, their massage therapy services address various physical and mental issues such as stress, migraines, and muscle inflexibility, in addition to numerous symptoms that may lead to greater health problems in the future. So if you’re in need of some massage spa services, come to Soul2Sole. As a reliable, affordable massage studio in Edmonton, Alberta, Soul2Sole opens its doors to all who want professional care. Schedule an appointment by calling 780-757-3452. We offer many treatment styles and durations to best meet the needs of each client. Therapeutic Massage is ideal for any issue stemming from sports injuries, work, and the aches and pains of everyday life. Traditional Thai Massage, also called Nuat Phen Boran, is a traditional massage technique originally taught in Thai Buddhist temples. This specialty treatment involves the use of smooth, flat, heated stones placed on key energy centres, allowing for free movement of energy throughout the body. 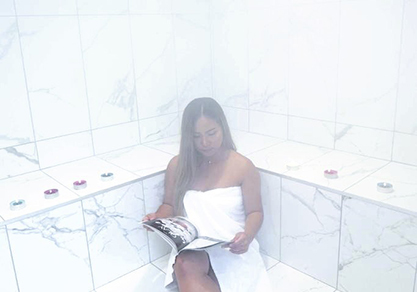 Whether you use the herbal steam room as a tonic for body and soul or you use it to prepare for your Thai massage, the benefits will linger long after. Great massage studio. The massage are excellent, and the rooms are very clean with relaxing atmosphere. Very attentive massage therapist as well. Clean nice little place. Pleasant staff. Our massage felt great. Have been going since opening day. Best massage in town. Can't say enough praises for Jel and her wonderful team! We now provide direct billing through TELUS Health. The TELUS Health’s eClaims solution allows us to submit claims on your behalf immediately after the service has been provided. Please be prepared to pay for your visits in the event that your insurance povider will not cover your treatments. We are unable to provide you with a credit to be paid for at a later date. Please note that direct billing for some insurance plans may not be available on weekends. We will gladly predetermine your coverage before your service. Please call 780-757-3452 for assistance in this matter.